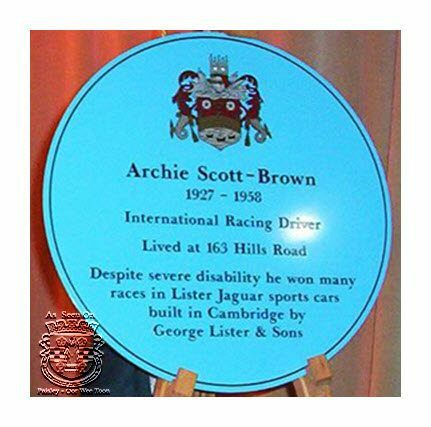 Archie was born on May 13th, 1927 in Paisley, Scotland, the only child of William and Jeanette Scott Brown. 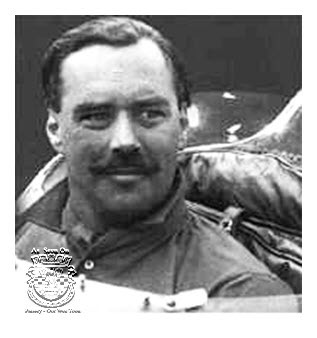 Bill, as his father was always known, had been an observer in the Royal Flying Corps during the Great War. His mother contracted Rubella (German measles) during her pregnancy and the arrival of their son Archie proved to be a hammer blow; he was dreadfully handicapped with radically deformed legs and right arm. Archie spent his childhood in and out of hospitals, undergoing dozens of operations to mitigate his problems. As he found mobility harder than most, Archie’s father built him a scaled-down car with a small engine. Archie learned to drive almost before learning to walk and he walked well enough, eventually. He was stubborn and wouldn’t quit and demanded to be treated equally rather than as a cripple. Archie wasn’t expected to be able to do much by some people, but he thought differently. He took up motor sport early in life and his first competitive race was in 1951, in his own MG roadster, bought using a small legacy. As his reputation grew, his name became closely linked with that of Brian Lister, initially driving Lister’s Tojeiro special, and later in sports racing cars built by Lister himself, and bearing his name. Archie enjoyed much success driving Lister-Jaguars – the famous Knobblys. Known for his courageous driving style, he was often to be seen in corners getting his Lister very sideways indeed. Asked about the possibility of the Lister’s notoriously poor brakes failing completely, he responded that he would “carry on without them, old boy”. He became one of the most respected racing drivers in Britain, racing against legends like Sir Stirling Moss, Roy Salvadori, Tony Brooks, Sir Jack Brabham and ‘El Maestro’ himself, five-time F1 champion Juan Manuel Fangio. He was mortally injured on 18 May 1958 during an accident in a sports car race at Spa-Francorchamps Belgium, driving a Lister Knobbly and duelling for the lead with Mastern Gregory. Battling hard with Gregory driving the Ecurie Ecosse Lister Jaguar, they swapped the lead between them inches apart. The competition was so fierce that Archie dented his car’s nose on the rear of the Ecosse car on lap three. With Archie leading on lap six they arrived at Blanchimont, then in the Clubhouse bend (where Richard Seaman died in 1939) to find the track slick with rain, the right hand front wheel of the Lister hit a road sign snapping the track rod causing a disastrous accident. He died in hospital (Heusy) the following day, less than a week after his 31st birthday. Archie is one of racings forgotten heroes. It would be patronising to say he was Britains greatest disabled racing driver. Archie himself would have disliked being regarded as anything other than ‘a driver’. When Archie died he’d won 71 races including 15 international wins. He also took 34 second places and 12 thirds. 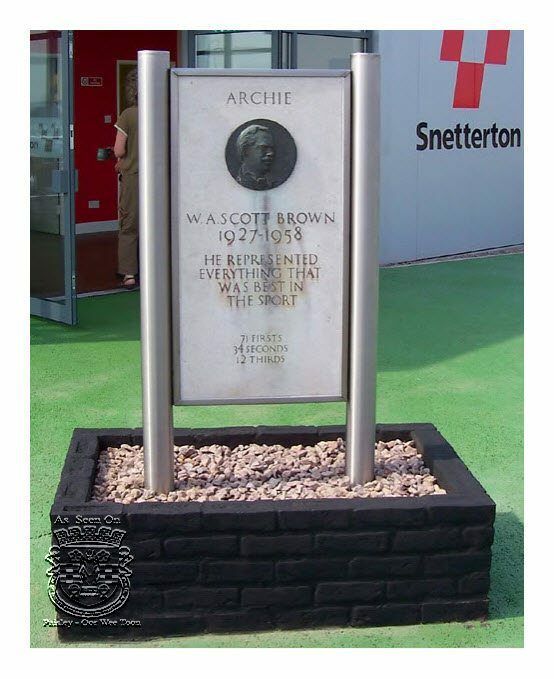 His memorial plaque at Snetterton (his home circuit) stands outside the VIP Centre named after him. A Commemorative plague adorns the house he lived in in Cambridge.